At 5th Avenue, you are invited to a tranquil, relaxed environment where we guarantee you the ultimate in pampering. Our professional and friendly staff are trained to provide you with a superior service offering you the best in spa treatments. These include full and half day packages. 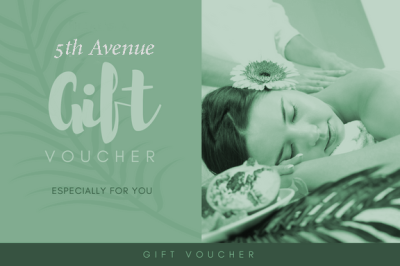 These make an ideal gift in the form of a 5th Avenue gift voucher. We specifically cater for small groups including birthdays, hen party’s or an afternoon to spend with your friends. Take a look at our gallery online to view our facilities which include group room, relaxation room, hydrotherapy, private treatment rooms and much, much more. We look forward to treating you and making your visit as pleasant as possible. Call today to make a reservation.